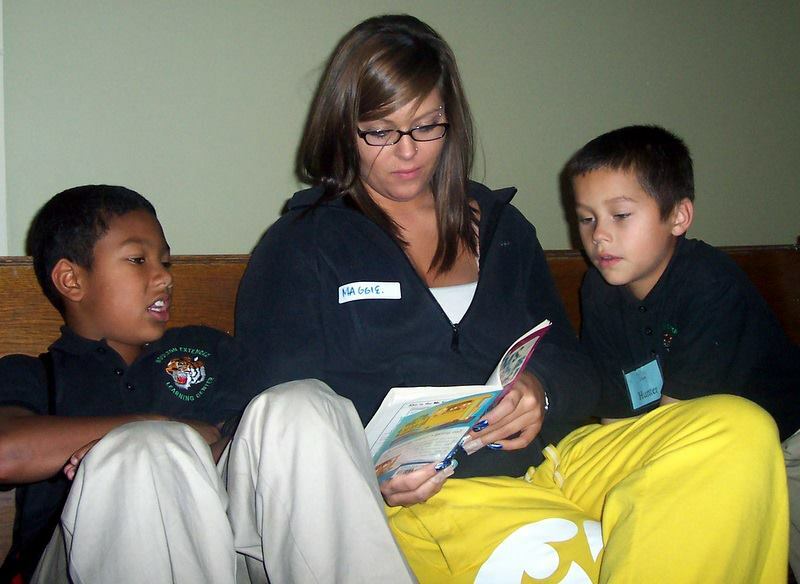 Commit to reading with one child in grade 2 for the year in a reading mentorship role. There are two different reading mentor volunteer opportunities at our organization both of which are offered in collaboration with Everybody Wins! Iowa. Opportunities include a morning program called “Power Breakfast” and an afternoon program entitled “Read to Me.” We ask that reading mentors commit to one year since the development of a relationship with the mentee is important. Click on the blue Volunteer button on the top of the front page. Another window will appear with areas for you to enter your name, contact information and preferences for your time volunteering. Enter the necessary data and all that applies to your preferences. Make sure to specify CFUM Power Breakfast or After-School. Your registration information will be processed through Everybody Wins! Iowa and you will receive a confirmation email when your registration has gone through. Someone from Everybody Wins! Iowa will then contact you to gather necessary information for a background check. This must be completed before you can begin reading. Shortly after your registration has been processed, the Reading Mentor Coordinator from the Breakfast Club or The Haven will be in touch about getting started with the program and any further questions or concerns can be answered at this time.